The time has finally come. I was just having fun with Mecha'thun, Luna's Pocket Galaxy and all the other memes last two weeks just like everyone else. But now, it is time to get back to work. For those who don't know me, my name is Kasai and I am building super cheap decks for "Free to Play" community while trying to make them as much competetive as possible. 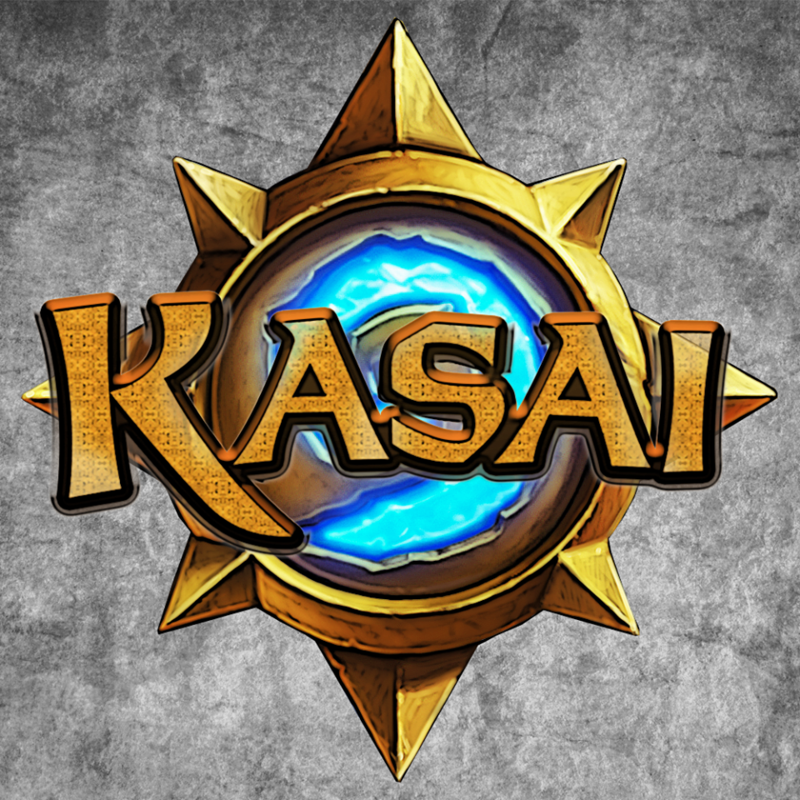 Go ahead and check my older articles or my twitter @Kasai_HS to learn more about me. Well, at the Giggling Inventor's reveal I knew what I am going to do first. 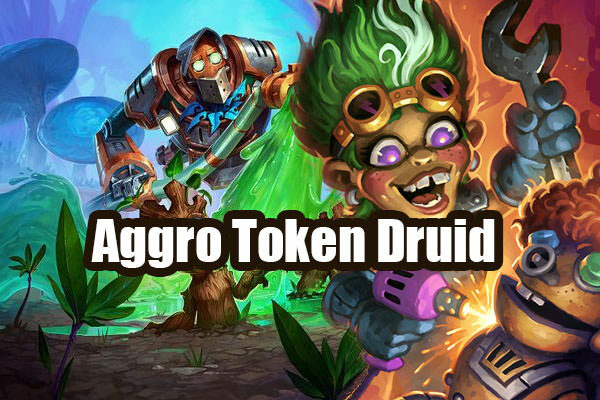 Token Druid. But not this year's meta Token Druid. I meant good old aggro "I will SMOrc you down on turn 4" Token Druid. Giggling Inventor is super strong card however it wouldn't be able to singlehandadly revive this archetype. Luckily, we've got not one, not two, but whole bunch of token cards this set, which opened the whole new opportunities. Landscaping - 3-mana 4/4 with downside of having it in two small bodies ... which is actually upside for purposes of our deck. I'll take it, I'll take two of them. Whirliglider and Explodinator - Pretty small bodies summoning 0 attack tokens. How's that profitable? Well, your opponent doesn't really want to kill the tokens, AoE became a bit awkward and Savage Roar likes that kind of behavior. Oh yeah and Crypt Lord likes those too. A lot. Giggling Inventor - No comment. This card is possibly going to get nerfed soon. Blizzard don't like super universal cards that suit every single deck and this is one of those. You want to go as wide as possible as soon as possible (unless you are against druid who is turning into 6 mana next turn obviously). Don't be afraid to play Power of the Wild for kitty on turn 2 if you don't have good play, you can easily overdrive your opponent without a single buff. I usually find myself having full board by turn 4 or 5. If you are against aggresive deck, trade as much as possible and you will come to a point where your opponent just concedes to your full board. Against control play more SMOrc-y. Trade only if you have really good reason to do so. If you don't know if it is worth trading or going face, go face, all the time. If you go face often enough they will die, and if they're dead, well, you win. Branching Paths - replace for Fungalmancer, super flexible card, which is also a core card of every single druid archetype (I've seen some Spiteful Druids play them too). 5/7 safe craft.. Living Mana - replace for Soul of the Forest. Unlike Soul of the Forest, Living Mana is super pro-active card and can win you a lot of games. However I can't really say you should craft it. It is pretty niché card in this meta. Unless you want to play this particular deck a lot. Then go for it, it is really OP addition. I got a Malfurion the Pestilent, what should I replace in the deck? 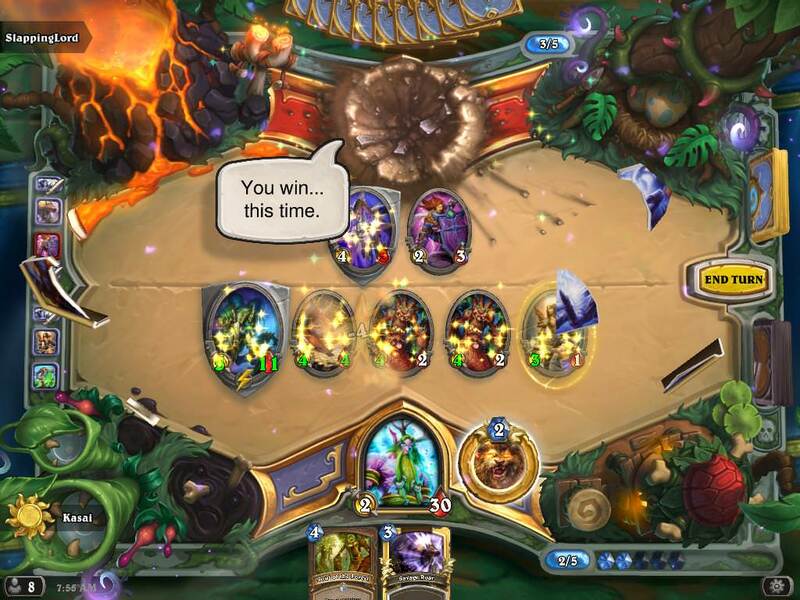 Malfurion is way too slow for this deck. What's the deal with Druid of the swarm? Is it usually played as a taunt or poisonous, and what would be a decent replacement? Replacing it is quite hard as most of 2-drops in standard right now are complete garbage. That's why Keleseth is so popular, there is no big downside of cutting 2-drops from your deck. Went 10-1 with this deck in casual, seems really strong. It really lacks draw though, have you considered adding a loot hoarder or acolyte of pain? I really belive there is no place for value cards in aggresive decks (Unless it is Divine Favor powerlevel). I was thinking about it but I prioritized new cards. You can try to replace one for one Whirliglider and let me know how it worked for you. It super relies on sequencing so there is no other way to find if it is any good without playing dozens of games. i would also like some standard decks to complete the lich king boss, i still haven't beaten him once yet =( i hope they follow up on this!! I will definitely think about it, but I can't promise anything as it is really a damn lot of work to put such a thing together.